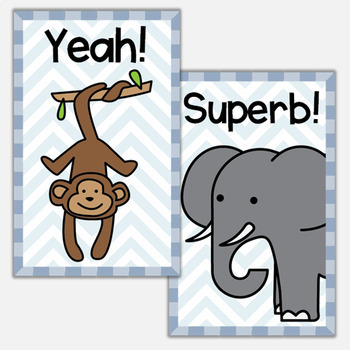 This set of 30 animal-themed encouragement brag tags is perfect for motivating and encouraging your students throughout the school year. 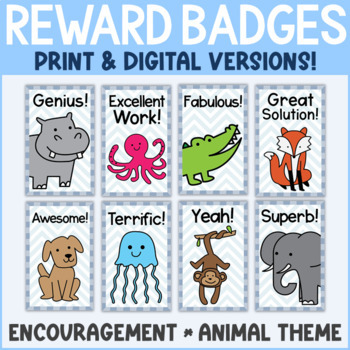 My students love the challenge of earning brag tags through their behavior and achievements, and have been putting more effort into their work since this reward system was implemented. Each brag tag is on a separate page, with 12 brag tags per page. 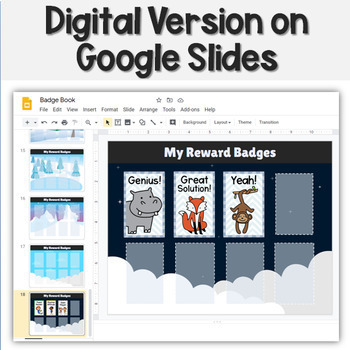 The brag tags are approximately 2"x3", but can be reduced to a smaller size through your printer settings. There are also three pages which have one of each brag tag, for your convenience. There is a table of contents with clickable hyperlinks to each brag tag to help you navigate the brag tag file. Please note that the brag tags are not editable. 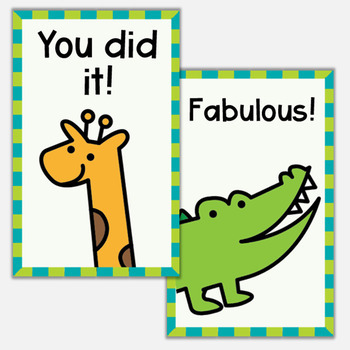 Giraffe – You did it! Dragon – Way To Go!